Black conservatism in the United States is a political and social movement rooted in communities of African descent that aligns largely with the American conservative movement. Since the African-American Civil Rights Movement (1954–68), the black community has generally fallen to the left of the right-wing conservative movement, and has predominantly favored itself on the side of liberalism and civil rights progressives. Black conservatism, in contrast, emphasizes traditionalism, strong patriotism, capitalism, free markets, and strong social conservatism. Empowerment of the individual via self-improvement (virtue), conscience, and supernatural grace. Black conservatives may find common ground with Black Nationalists through their common belief in black empowerment and the theory that black people have been duped by the Welfare state. On the other hand, some of the policies advocated by Black conservatives are in conflict with some of the key points in the common social, economic, and political positions that a high percentage of African-Americans favor. 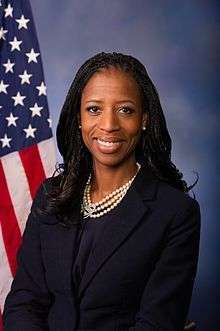 For example, black conservatives typically oppose affirmative action, which is supported by the vast majority of African American communities. They tend to argue that efforts to obtain reparations for slavery are either misguided or counter-productive. 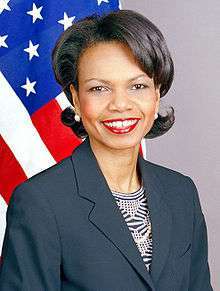 Moreover, black conservatives – especially black Republicans – are often accused of being Uncle Toms. 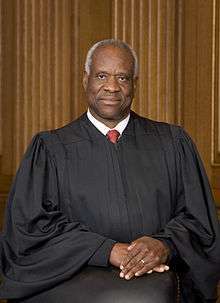 Ebony in their May 2001 "100+ Most Influential Black Americans" issue, did not include a number of influential African Americans such as Thomas Sowell, Shelby Steele, Armstrong Williams, Walter Williams and, most notably, Supreme Court Justice Clarence Thomas. The Economist described the exclusion of Justice Thomas from the list as spiteful. Black conservatives favor integration of African Americans into mainstream America and, consequently, disagree with black nationalism and separatism. Black conservatives are more inclined to support economic policies promoting globalization, free trade and tax cuts. According to a 2004 study, 13.7% of blacks identified as "Conservative" or "Extremely Conservative" with another 14.4% identifying as slightly conservative. However the same study indicated less than ten percent identified as Republican or Republican leaning in any fashion. Likewise, a recent Pew Research Center survey showed that 19% of blacks identify as Religious Right. In 2004 the Pew Research Center indicated only 7% of blacks identify as Republican. From Reconstruction up until the New Deal, the black population tended to vote Republican as the Republican Party, particularly in the Southern United States, was seen as more racially liberal than the Democratic Party, primarily because of the role of the southern wing of the Democratic Party as the party of racial segregation and the Republican Party's roots in the abolitionist movement (see Dixiecrats). Blacks started to shift in significant numbers to the Democrats with the election of Franklin D. Roosevelt, whose New Deal particularly benefited economically disadvantaged minority communities and helped forge the New Deal coalition which dominated American politics for the next 30 years, and continued with the election of John F. Kennedy. This shift was also influenced by Herbert Hoover's practice of firing loyal African-Americans from positions within the Republican Party, in order to increase his appeal to racist Southern white voters. This can be considered an early example of a set of Republican Party methods that were later termed the Southern Strategy. Another case study of differences between Black conservatives and Black Republicans is an emphasis on personal empowerment versus theological perspectives. 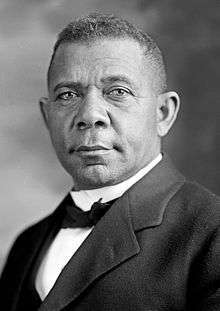 Black Republicans like Colin Powell hold to the social ideas articulated by the early Radical Republicans like Frederick Douglass while at the same time supporting the self-empowerment message of Booker T. Washington. 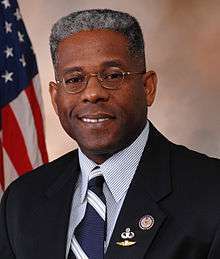 Many social conservatives who are black and Republican hold to a biblically based empowerment although they also appreciate Booker's emphasis on personal accomplishment. Conservatives like the Texas minister T. D. Jakes are evangelical African Americans who support policies more in common but not totally in line with many white Evangelicals. The African-American church has traditionally been an important element of social and political movements in the Black community. These generally have been identified with persons of the Left or liberalism, like Jesse Jackson, but this is not always true. On issues concerning homosexuality, Black Protestants are more socially conservative than other groups, excepting White Evangelicals. Their view on the issue of homosexual teachers changed less than any other segment based on religion or race. This is a timeline of significant events in African American history which have shaped the conservative movement in the United States. 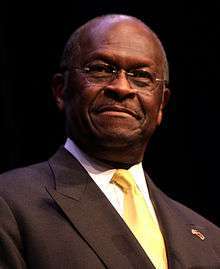 1982 – President Reagan appoints Clarence Thomas as Chairman of the Equal Employment Opportunity Commission. 1985 – President Reagan appoints Alan Keyes the Assistant Secretary of State for International Organization Affairs. 1987 – President Reagan appoints Colin L. Powell the National Security Advisor. 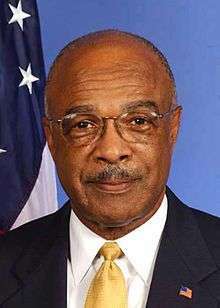 1998 – U.S. House of Representatives elects J. C. Watts (R-OK) to be Chairman of the House Republican Conference. Randy Daniels, Secretary of State of New York joins the GOP. 2012 – Artur Davis, a former Democratic Party member of the United States House of Representatives joins the GOP. 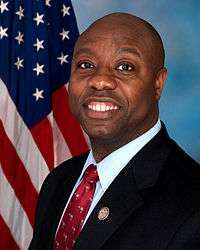 2013 – Tim Scott (SC) is appointed to the US Senate. 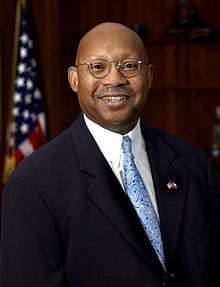 Roy Innis – Chairman of the Congress of Racial Equality (CORE) & a member of the National Rifle Association's governing board. Tommy Sotomayor – Radio and internet talk show host, YouTube personality, men's rights activist and film producer. Major General Mary J. Kight – Adjutant General of California (2010–2011). Ernie Banks – Chicago Cubs baseball player. James Brown – Musician. Openly endorsed Richard Nixon in the 1972 presidential election and named Strom Thurmond as one of his heroes during a 1999 interview with Rolling Stone. Dwayne Johnson ("The Rock") – Actor and WWE wrestler. Mike Jones - WWF wrestler. Martin Luther King, Sr. – Father of Martin Luther King, Jr.
↑ "Lexington: The school of very hard knocks". The Economist. 2007-10-04. Retrieved 2011-05-17. ↑ "Quick Tables". Sda.berkeley.edu:8080. Retrieved 2011-05-17. ↑ Pew Forum: Many Americans Uneasy with Mix of Religion and Politics Archived September 28, 2007, at the Wayback Machine. ↑ Part 1: Party Affiliation: The 2004 Political Landscape Archived April 11, 2008, at the Wayback Machine. ↑ "American President: Franklin Delano Roosevelt: The American Franchine". Millercenter.org. Retrieved 2011-05-17. ↑ Behind the Mule: Race and Class in African-American Politics. ↑ "Part 8: Religion in American Life: The 2004 Political Landscape". The Pew Research Center. Archived from the original on May 17, 2008. Retrieved December 14, 2008. ↑ Fletcher, Michael A. (2006-08-17). "Lynn Swann, Happy to Be on the President's Team". washingtonpost.com. Retrieved 2011-05-17. ↑ "'Ricochet' Goes Behind Scenes of Gun Lobby". National Public Radio. 2007-11-15. Retrieved 2007-11-15. ↑ "Roy Innis re-elected to NRA Board", NRAwinningteam.com. Archived October 13, 2007, at the Wayback Machine. ↑ "ODJFS Online - SEARCH the Ohio Women's Hall of Fame". ↑ "Judge Lynn Toler: Yes, I'm Republican". 24 September 2012. 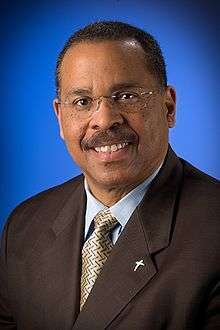 ↑ "Larry Elder – Conservative Columnist and Political Commentator2003 Column Archive". Townhall.com. Retrieved 2011-05-17. ↑ "Trump Calls NBC News Anchor And Fellow GOP'er Lester Holt A Democrat". ↑ "WVON 1690 AM – The Talk of Chicago | Weekday Line-up". Wvon.com. Archived from the original on 2011-07-20. Retrieved 2011-05-17. ↑ White, Chelsea (July 18, 2013). 'I was a 29-year-old virgin': Sister Sister's Tamera Mowry reveals she has only ever slept with her husband Adam Housley. Mail Online. Retrieved July 19, 2013. ↑ "April 11, 2005". The Nation. Retrieved 2011-05-17. ↑ Sotomayor, Tommy (6 August 2015). "How Democrats & White Liberals Are Destroying The Black American People!" – via YouTube. ↑ General Russell Honore To Run Vs David Vitter In Louisiana US Race? ↑ 010210, This story was written by. "Governor Schwarzenegger Appoints Brigadier General Mary J. Kight Adjutant General of the California National Guard". ↑ Rothfeld, Michael (2010-02-01). "Mary J. Kight continues to be a trailblazer". Los Angeles Times. ↑ Did you know Ernie Banks was a Republican?. American Spectator. Retrieved February 1, 2015. ↑ Pareles, Jon (December 25, 2006). "James Brown, the 'Godfather of Soul', Dies at 73". New York Times. Retrieved December 22, 2013. ↑ "For The Record: Quick News On 50 Cent, Kanye West, Irv Gotti, Beyonce, Zack De La Rocha, Alice In Chains & More – Music, Celebrity, Artist News". MTV. 2005-11-23. Retrieved 2011-05-17. ↑ Waldo, Patrick (2008-02-05). "50 Cent Endorses Hillary Clinton, Fears A Black President Will Be Shot". Huffingtonpost.com. Retrieved 2011-05-17. ↑ "NEWSMEAT ▷ Karl Malone's Federal Campaign Contribution Report". Newsmeat.com. Retrieved 2011-05-17. ↑ "Minnesota Public Radio". Minnesota Public Radio. 2006-06-13. Retrieved 2011-05-17. ↑ Benjamin, Elizabeth (2010-09-16). NFLer: Carl's no racist. Capitol Tonight. Retrieved 2010-09-16. ↑ Washington, The (2008-10-17). "Q&A With Cowboy Troy". Washington Times. Retrieved 2011-05-17. Murray, Mark. "GOP diversity aims at a crucial Democratic bloc." NBC News. April 25, 2006. "The New Black Republicans." WBUR, Boston's NPR. June 2, 2004.